We understand that home and business owners in West Atlanta need to keep warm in the winter and cool in the summer and when Air Conditioners and Heating Systems break down, we find this unacceptable! The great news is that when such unexpected malfunctions occur, New Start Heating and Air can provide you with the best quality air conditioner and heating sales, inspection, installation, repair, tune up and maintenance services in the local West Atlanta area. We’re locally operated and veteran owned, and we’ve been doing it for nearly a decade! What sets New Start Heating and Air apart? Unlike our competitors, who are limited to servicing only a few specific brands, we are willing and able to service whichever make or model air conditioner, furnace or boiler you may have, including major brands such as Rudd, Honeywell, American Standard and Trane. In addition to excelling in our HVAC work, we strive to conduct business in an efficient manner, with ready to use replacement parts in stock, saving you both time and money! 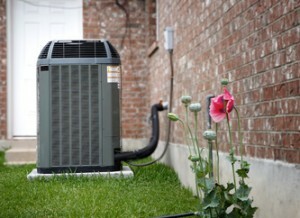 New Start Heating & Air can also help you save money by providing a complete HVAC inspection of your home or business. As a result of our findings, you may be eligible for a tax credit or utility rebate. And if necessary, one recommendation might be to consider replacing your older unit with a newer and more energy efficient air conditioner, furnace or boiler. For your convenience, we also carry a variety of energy saving makes and models that will cut down on your energy and future repair costs. But if a new unit isn’t in your budget, we specialize in coming up with creative solutions to keep your older unit in working order! As an approved Heating and Cooling Dealer with George Power, we offer service and sales of air conditioning, water heaters, heat pumps, furnaces and other climate control equipment. New Start Heating and Air is your best source for an energy-efficient, environmentally friendly home. Check out the current rebates and incentives that Georgia Power is offering. New Start Heating & Air is your local service provider for all your heating and cooling needs in West Atlanta. Our friendly, knowledgeable staff is ready to address your needs and concerns. Don’t get caught in the heat or the cold, call New Start Heating & Air today!